It's BlizzCon time again. Blizzard fans from around the world have converged on the tiny Disneyland haven of Anaheim to walk around in robes, yell about the Horde and the Alliance, and play a bunch of new Blizzard games. 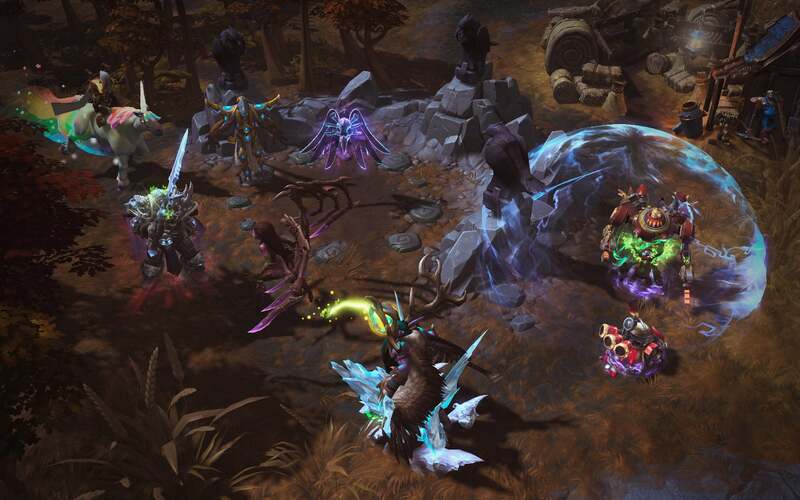 Blizzard's been a three-property house for years now—WarCraft, StarCraft, and Diablo. It's been that way since the Rock and Roll Racing/Lost Vikings days of yore. 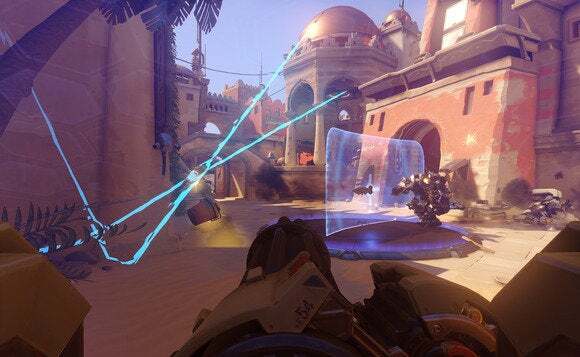 That all changed at BlizzCon 2014 today, when Blizzard announced Overwatch, the company's first new property in something like twenty years. Details are sparse at the moment, with everything we know coming from a solitary trailer, some brief gameplay, and a few tidbits from Blizzard employees. 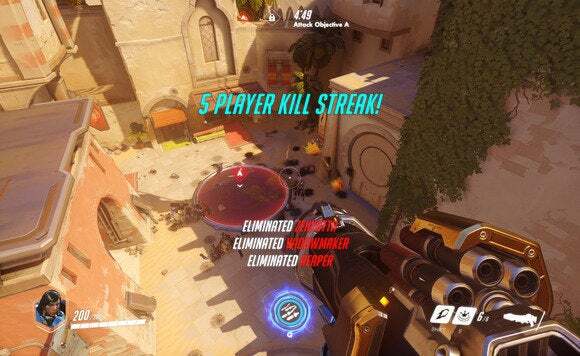 The game is set in a near-future version of Earth, with images of a crumbling Eiffel Tower and vaguely Soviet characters shown before cutting to a museum exhibit chronicling the exploits of the titular Overwatch, which brought peace to the Earth after an extended period of war. It's all hyper-stylized, almost Sunset Overdrive or Team Fortress 2-esque, and it's a team-based, multiplayer shooter. I repeat: Blizzard is making a shooter. There's a gorilla wearing glasses. There's a crazy teleporting shadow man. There's a lady with a grappling hook. It looks like mayhem, and it's a huge change from Blizzard's standard strategy game roots. The game's also closer than expected, with a beta release targeted for 2015. It's also playable here at BlizzCon, so I'll have hands-on impressions soon. Here's a trailer in the meantime. 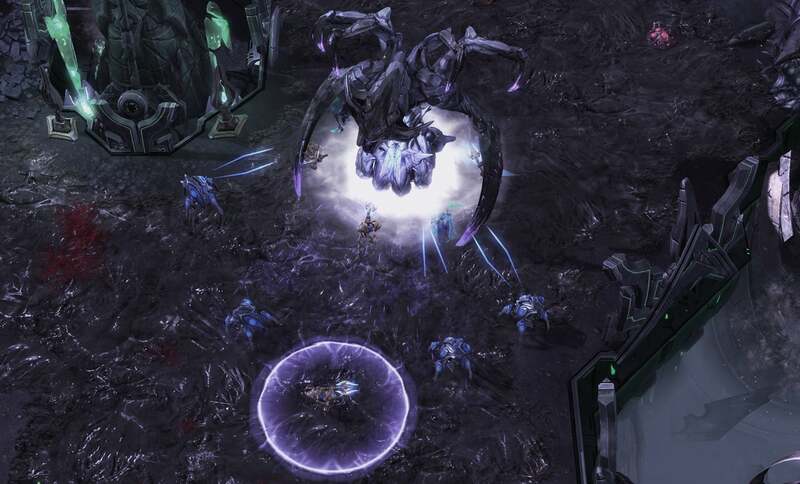 We got a brief glimpse of the third part of the StarCraft II saga, Legacy of the Void, at BlizzCon. The long-awaited sequel is themed after the Protoss race, and will include a new campaign and a host of multiplayer tweaks. "In Legacy of the Void you will reunite the scattered Protoss tribes," said Blizzard's Dustin Browder. "The three races of the StarCraft universe will come to a conclusion in this, the final part of our trilogy." Legacy of the Void is releasing as a standalone product—not an expansion—at some undisclosed point in the future. As expected, Heroes of the Storm (Blizzard's MOBA competitor to Dota 2 and League of Legends) is entering closed beta, concluding an extensive alpha period. The initial closed beta will start January 13, 2015, and I expect sign-ups will go live soon. There are also a slew of new heroes coming to the game (including the classic Lost Vikings characters and Jaina Thrall), new battlegrounds, and the addition of official Ranked Play. Blizzard's digital collectible card game, Hearthstone, is getting its own expansion Goblins versus Gnomes, themed (obviously) after the two titular races from WarCraft. The expansion adds over 150 new cards to the game, including things like the "Explosive Sheep" and the "Annoy-o-Tron." The expansion will release next month, right around the same time as the upcoming Android version of the game.